This article is for the costume. For the minor villains of Twisted Thicket Island, see here. Get from store during member-only access period, provided you have membership. 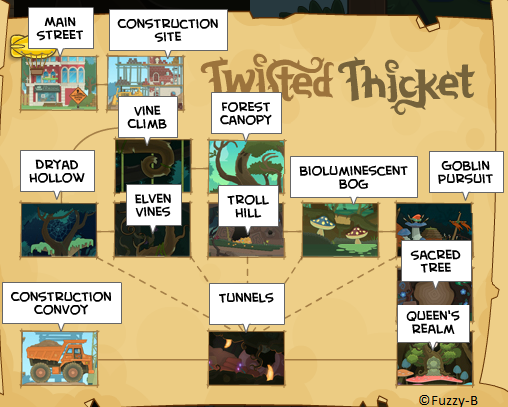 Lumberjerk celebrated the release of Twisted Thicket for members. It has now been removed from the store because this is a limited time only item and the island has been released for members. The Lumberjerk costume is a blue uniform, while the real Lumberjerks wear red uniforms. This is similar to the Bully Bot Costume. The Lumberjerk costume, along with the Troll look and power and the Dryad follower, were released on April 5, 2012. This page was last edited on 28 May 2016, at 01:50.